Live Streaming Video becomes the latest trend on the web. Everyone loves to watch the real-time live events by sitting back and relax. Many different types of applications are also available in the present market on various app stores online. The audience viewing behaviour had significantly changed. According to stats, revealed that more than 80 percent people are watching the live streams on various platforms. The average watch time towards the live streaming content on multiple platforms like YouTube, Facebook, Periscope accounted for an average of 5 minutes length. YouTube is the dream platform for many marketers as it is the only platform which can bring high exposure to the trending videos on various search engines. Live streaming has high demand in the present digital world, as marketers look forward to connecting the people with the social media and Live video streaming Apps. Many marketers turned towards the YouTube platform for Live Video Streaming. The YouTube live streaming feature already used by some millions of users and especially some educational institutions were also approaching the students with live streaming seminars and classes on YouTube platform. Some marketers are launching their products and events live on YouTube platform. Here is how to set up the YouTube Live streaming. You can interact with your audience in live chat and also able to share the link via social media platforms along with the real-time analytics. You can also allow monitoring your stream status. YouTube will archive the event every 12 hours and generated new video ID once the stream has ended. YouTube is always at the top place in its video content. The YouTube live stream was reported to have 5 billion hours of video that is streaming per day on the YouTube platform. The live video streaming on YouTube platform can be accessed through the smartphones and across the television sets too. Marketers and individuals are taking advantage of the live stream to promote cross the platforms. The broadcasts can be archived in the YouTube library which can be helpful to optimise your video content again with some changes in the descriptions and tags of the video. Many people doubted that their live streaming could reach the audience over the platform or not. Yes, it can reach the vast audience if you follow the best ways of promoting your live streaming. Here are some ways to improve your YouTube live video. Create a good teaser of your live stream and increase the anxiety of the audience. Keep the audience interested in your live streaming. Your trailer or teaser must reveal the agenda of your live to the audience. Share your link on cross platforms which can help you to gain some audiences towards your live. Promote your content with featured content and connect with the various social accounts. Embed the URL to your website and promote your live. Create a live section to display your upcoming events. Also, follow multiple optimisation techniques to your channel as well as to your videos. Send notifications about your live stream to your friends and relatives and notify the public on all your progress across various social media accounts on the web which can help you in the better promotion. The live streaming applications have high demand across the web. Even marketers are utilising the live streaming applications for their marketing purposes. The new Wire cast Go application is compatible with the iOS platform and is planning to launch on the Android platforms too. Cast Go is a beautiful app with all brand new features which is very comfortable and user-friendly. The app is designed with the latest features to make its mark of quality, design, and uniqueness. The leading supplier of advanced media tools and work process solutions declared the presentation of Wirecast Go. It is a stand-alone iPhone live streaming application that adds to ENG (Electronic News Gathering) teams’ capacity to be first to break the news. The App enables users to catch content using their iPhone camera, insert graphics, logos, titles and different images and after that stream live straightforwardly to YouTube. some other RTMP (Real Time Messaging Protocol) server supported by a wide assortment of substance conveyance networks (CDNs). Telestream has created Wirecast Go to support the quickly developing group of both professional and novice iPhone users that need to disseminate breaking news and live events. 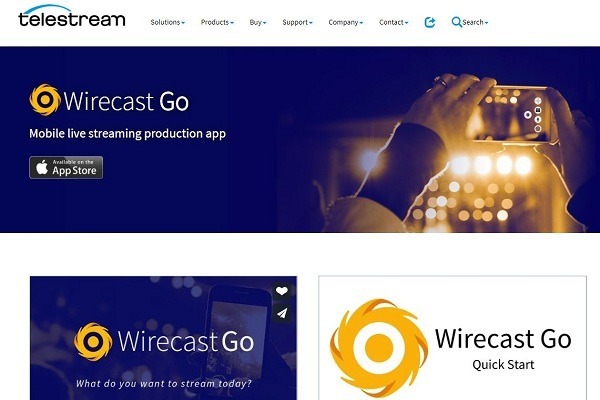 The organisation is focusing on various audiences with Wirecast Go, including TV news journalists and ENG teams. Not withstanding shooting, it gives excellent video footage and sending it back to base, the journalist can also make professional quality live video streams on his/her iPhone and stream them to various destinations live from the news screen. The application empowers any mobile user with professional features and usefulness. It offers robust live video streaming to numerous destinations, along with the inherent capacity to brand streams. It includes a scope of graphics and alter shots. Wowza streaming engine is one of the server related software which delivers the video content efficiently. It reduces the delivery associated problems and enables the media delivery with high quality to live and on-demand video streaming solutions. The server is used in the live streaming and on-demand related video and over the IP networks. It can efficiently use on Desktop and other devices that used in networking. 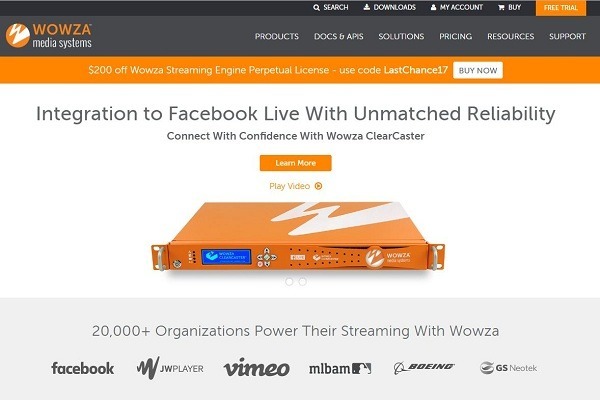 The Wowza streaming engine can enhance the standard streaming of and can stream across the multiple devices that support the playback across the devices. It is also compatible with the various video formats and supports the video streaming on different devices. 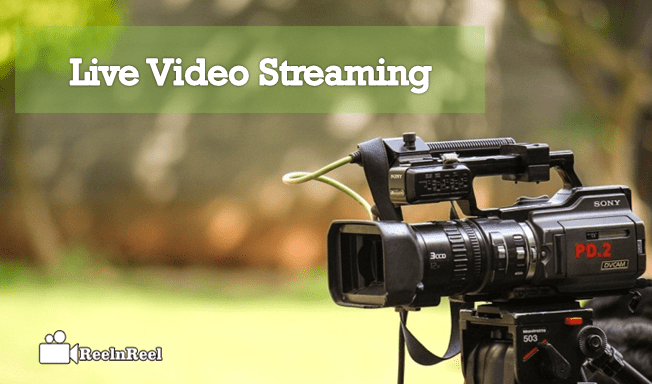 Wowza streaming can help us to simplify the streaming of the video content and To transcode the video content to deliver the high-quality video content across the devices. It saves valuable time and money as it enhances the video streaming and provides the video and audio streaming across any players. The integration of the Wowza can allow the broadcasting with the H.264 IP cameras across any protocol. It gets connected to the devices without the involvement of the encoders to record the live streaming. It also allows the live streaming and uses the management and monitoring the system and is user-friendly too. The viewers can also select the multiple languages audio which helps the marketers and users to stream across the different countries. Periscope is the best social media application which allows users to go live streaming at any time from anywhere. The live streaming becomes the latest buzz all over the web today. 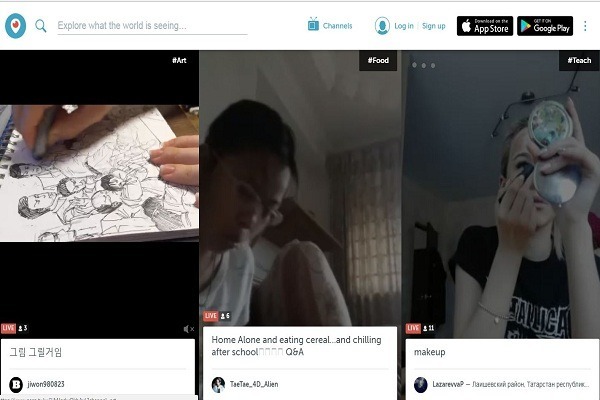 The users get all the notifications to their devices about the live streams of the people they followed on Periscope. After the completion of the broadcasting lives, the likes and the comments obtained for the video was available for 24 hours. After then it will not be available on the web after it reaches the maximum time. The videos that are broadcasted by the user can save within the role of the camera, and the users can get shared their comments and the heart icons that provided in the application during the broadcasting of the video. Why are people giving first preference to the Periscope? Periscope allows the audience to build the new community and audience. It is also useful to get connected and share the live streaming. The content also can be repurposed using the Periscope application. Brands can also use the periscope for their video marketing, and they can know about their audience in real-time interaction. There is no proper integration of the WordPress with the Periscope but, the WP Scope plugin is supporting the combination of the scopes within the blog posts. so, the user can display the broadcasts of other people also by using the plug-in. This integration helps in automation of the periscope broadcasts to your blog. So, with the combination, the broadcasts and the scopes can be saved and get uploaded to the YouTube platform. Online Video consumption is one of the exciting activities in the present generation. The digital video view has raised to 227 million in the United States. Marketer thinks innovative to grab the attention of people, make innovation technologies in the Video industry. As per the statistics video consumption rate in mobile phones, tablets increased whereas, compared to traditional computer. YouTube platform has become one of the largest leading live streaming websites in 2017. Twitch has the massive response to Live streaming, and it draws 2.2 million unique streamers users every day. Facebook users spend 4 X times more for Live Videos when compared to regular videos. Every 1 in 5 Facebook Videos is Live broadcasted. Twitter content partners streamed 1.200 hours of live videos and drew 55 million unique viewers by the end of 2017. More than 40% of raise in buying the online streaming media players in 2017. 90 % people think the picture quality is most important for Facebook Live Video or any other Live streaming. 85 % of people already using Facebook Live Video for Live streaming. 51% of live videos viewed through smartphones that are user-generated short clips. 81% of people used the internet and mobile phone to view online Live Videos. Marketers say live video facilitates 79% of more interaction with an audience. 60% of marketers were getting real-time feedback from the audience. Facebook Videos receives 10 X times comments to the Live streaming Videos. The best way to communicate clients through your brand’s id video marketing strategy. The above articles gives complete guide to the Live video streaming it’s stats and some live streaming apps for online video consumption.